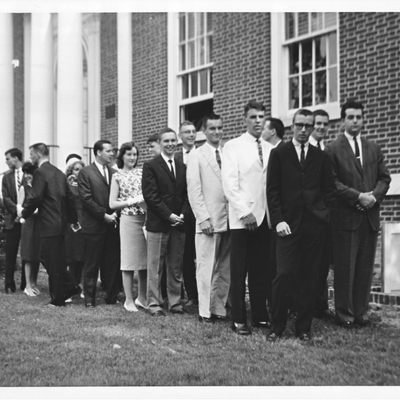 1963 graduating class, Final Day Exercises, June 6, 1963. J.N.G. 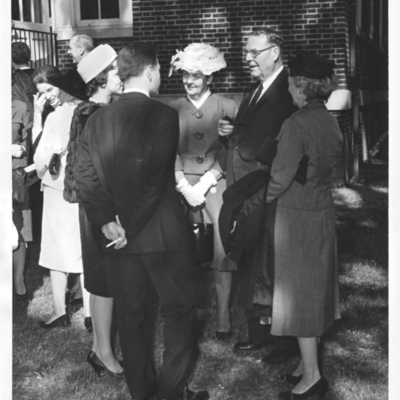 Finley speaking at Final Day Exercises, George Mason College, June 6, 1963. 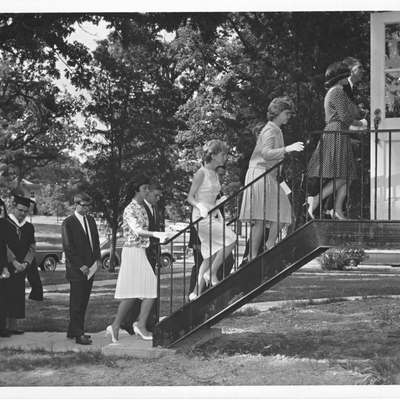 George Mason College students, Convocation and Honor Court Ceremony, May 12, 1963. 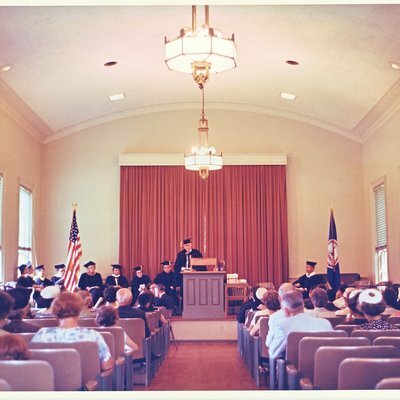 Photograph of students attending the George Mason College Convocation and Honor Court Ceremony at the Episcopal Seminary (now known as the Virginia Theological Seminary) at 3737 Seminary Road in Alexandria. 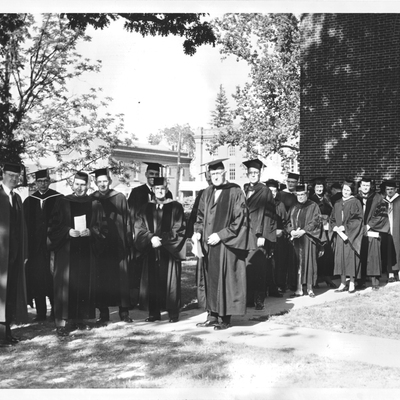 George Mason College faculty, Convocation and Honor Court Ceremony, May 12, 1963.